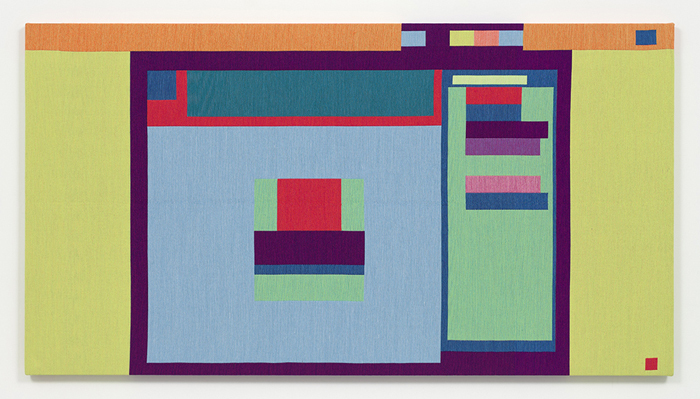 In a new show hanging at Steve Turner Contemporary in Los Angeles, Rafaël Rozendaal’s Abstract Browsing goes offline. The free Chrome extension was released in 2014, and transforms the web into an abstract collage of bright rectangles in randomized colors. 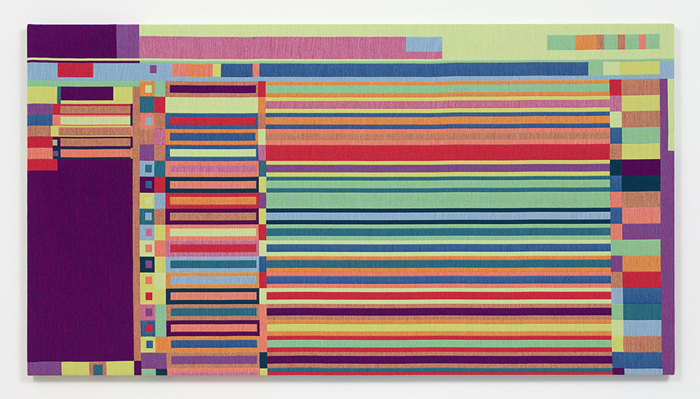 Rozendaal, who uses the plugin every day and keeps an archive of his favorite screenshots, sifted through his collection and selected six compositions to turn into Jacquard woven tapestries, each nearly 5 x 9 feet.